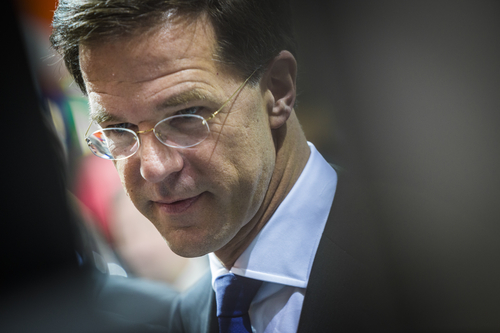 Prime minister Mark Rutte has called for migrant boats intercepted off the coast of Italy to be towed back to safe countries in northern Africa. In the question-and-answer session afterwards, the prime minister said he wants to make agreements with countries like Egypt and Morocco along the lines of the deal made with Turkey in March, the Volkskrant reported. The funding would come from existing European development aid funds, he said. Leiden university migration specialist Jorrit Rijpma told the paper the implementation of Rutte’s plan would be ‘very difficult’. ‘As soon as you pick up a boat with migrants, you are responsible for them,’ he said. In 2012, the European Court in Strasbourg banned the return of boats to northern Africa without an individual assessment of each migrant. European politicians should stop striving for further European integration, he said. ‘more Europe’ is not the answer when major issues such as migration and the economic downturn have not been solved,’ he said.